You probably already know the major things that happened in sports right now, but do you know enough to impress your friends and colleagues? Here, let us help. First, the big news that you’ve heard about a million times already — Clayton Kershaw signed a seven-year deal with the Dodgers worth $215 million. If you want to know more about the contract, read Jonah Keri’s breakdown from earlier today. And if you want to read more about Kershaw’s story and how he might end up in the Hall of Fame, read Keri’s article from last May. Now, possibly the second biggest piece of news from yesterday: Miami, Golden State, and Boston conducted a trade that sent Jordan Crawford and MarShon Brooks to the Dubs, Toney Douglas to the Heat, and Joel Anthony plus two picks to the Celtics. In case you missed it, Zach Lowe wrote a comprehensive breakdown of how the trade helped each team. Elsewhere in the NBA, Pacers coach Frank Vogel was picked to coach the East All-Stars. Not familiar with Vogel? Check out Lowe’s Q&A with the coach from April. 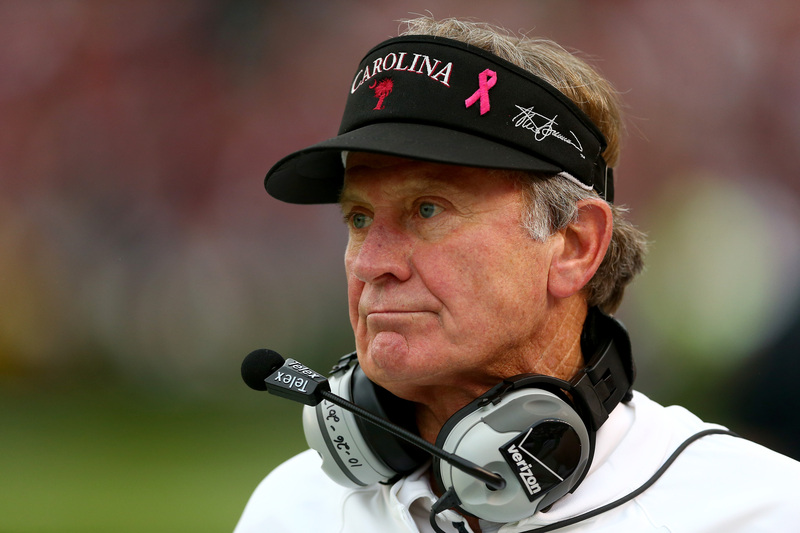 Steve Spurrier and his staff had quite the wonderful day yesterday as salary raises were announced for the entire group. Whatever he’s doing in South Carolina, he must be doing it right. Michael Weinreb wrote about the Ball Coach two seasons ago, dubbing him the most interesting football coach in America. It was yet another relatively vanilla day in Melbourne as the top seeds (minus Juan Martin del Potro) cruised to the third round of the Australian Open. Rafael Nadal, Andy Murray, Roger Federer, and Jo-Wilfried Tsonga all won in straight sets, as did Victoria Azarenka, Agnieszka Radwanska, and Jelena Jankovic. Sloane Stephens and Caroline Wozniacki had a little more trouble but managed to escape with wins, and Maria Sharapova survived a three-and-a-half-hour match in 108-degree weather to edge out Italy’s Karin Knapp, 6-3, 4-6, 10-8. Sharapova is slowly making her way back from a right shoulder injury and is playing in her first Grand Slam event since last year’s Wimbledon. For more about Sharapova, check out this Louisa Thomas feature from the 2012 French Open. On the heels of Adrien Broner exercising his contractual right to a rematch against Marcos Maidana, Floyd Mayweather hinted that Amir Khan could be his next opponent May 3 in Las Vegas. Be sure to check out Jay Caspian Kang on the first Maidana vs. Broner fight and the time he watched Mayweather fight Robert Guerrero in Vegas. We here at Grantland understand that not everybody can be clairvoyant, so instead of spoiling the fun and telling you what will happen, we’ll give you a few hints of what to look out for today. The Browns remain the last NFL team without a head coach, and they are perfectly fine with that (though owner Jimmy Haslam did write a letter to season-ticket holders in hopes of placating/reassurring them). Since Denver offensive coordinator Adam Gase remains Cleveland’s no. 1 pick, it’s unlikely there’ll be any new developments since the Broncos are gearing up for this weekend’s AFC Championship Game. In the baseball world, look out for some more contract signings ahead of Friday’s arbitration hearings. Kershaw and the Dodgers got a nice deal squared away yesterday (as did several others), but David Price, Max Scherzer, Craig Kimbrel, Giancarlo Stanton, and a host of others are still in limbo. None of the aforementioned are expected to reach deals today, but do expect some pen-to-paper action with lesser players. If you want to follow the news live, the nice people at MLB Trade Rumors have created an arbitration tracker. One quick NBA hit for those Celtics fans out there — Rajon Rondo was assigned to the franchise’s D-League team then quickly activated for Boston’s game against the Raptors because of a thin lineup resulting from the earlier trade. Rondo, as expected, did not play, though it’s expected he will on Friday against the Lakers. Celtics coach Brad Stevens remained noncommittal, but we anticipate more optimistic reports from the Celtics camp that indicate Rondo’s readiness for tomorrow. Tonight’s Australian Open matches aren’t too exciting on the singles front, but at 7 p.m. ET, you can still watch Serena Williams and Daniela Hantuchova at Rod Laver Arena, and catch sightings of David Ferrer, Li Na, and Tomas Berdych. Later in the evening, you’ll find Novak Djokovic, Ana Ivanovic, Sam Stosur, and Richard Gasquet. Some of the doubles matches to keep an eye out for are the Bryan brothers, the Williams sisters, Spain’s David Marrero and Fernando Verdasco, Taiwan’s Hsieh Su-Wei and China’s Peng Shuai, and the American tandem of Abigail Spears and Raquel Kops-Jones. For a complete schedule, visit the Australian Open website. After last night’s relatively mild college basketball lineup, the NCAA gods have answered our prayers with a couple of fun games to look forward to tonight. Pac-12 action looks promising, with no. 25 UCLA visiting no. 21 Colorado. The matchup between Top 25 teams should be entertaining, and one thing to look out for is how the Buffaloes adjust without top scorer Spencer Dinwiddie, who tore his ACL in Sunday’s loss to Washington. The Big Ten has a potentially exciting game, too, as no. 11 Ohio State visits Minnesota. The Buckeyes are coming off two consecutive losses while Minnesota is fresh off a close overtime loss to no. 4 Michigan State. It’s a light day in the NBA world, with just three games: Nets-Hawks, Knicks-Pacers, and Thunder-Rockets. Luckily, the third could be a fun watch, as two of the top five teams in the Western Conference take it to the rim. Houston will be on the second game of a back-to-back after narrowing closing out the Pelicans last night, 103-100, while Oklahoma City will look to rebound from its close three-point loss to the Grizzlies on Tuesday. On the ice, we have quite the smorgasbord of NHL games to choose from — 11 to be exact. We could see the Predators debut of newly acquired goalie Devan Dubnyk as the team visits the Flyers at Wells Fargo Center. Philadelphia won the last meeting between the two in a 3-2 shootout. In St. Louis, the Blues hope to extend their home win streak and make it their longest of the season with another win over the Kings. The last time the two met, Los Angeles fell 5-0.